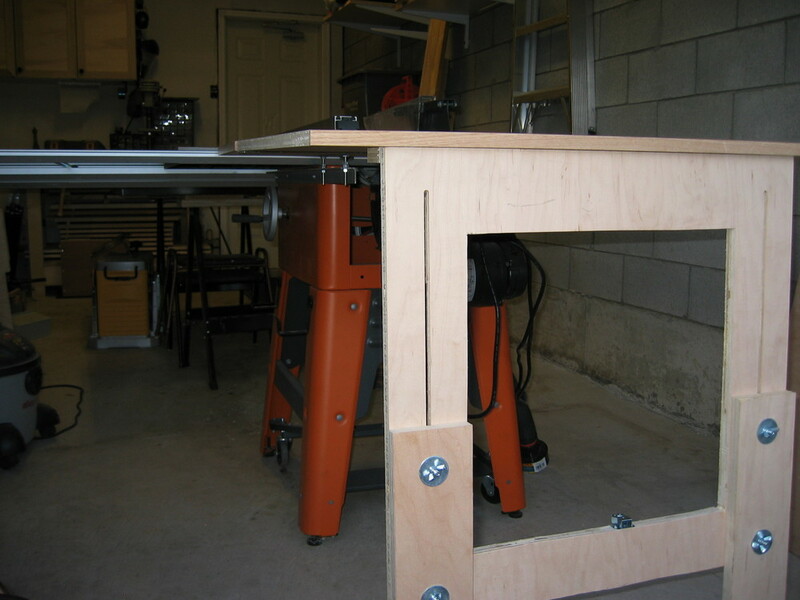 I built a simple out-feed support for my Ridgid TS3650 table saw back in 2007. It is made of some poor quality paint grade maple ply that I got from a local home centre. I say it’s poor quality because the face veneers are de-laminating in places, and it had an incredible number of voids. 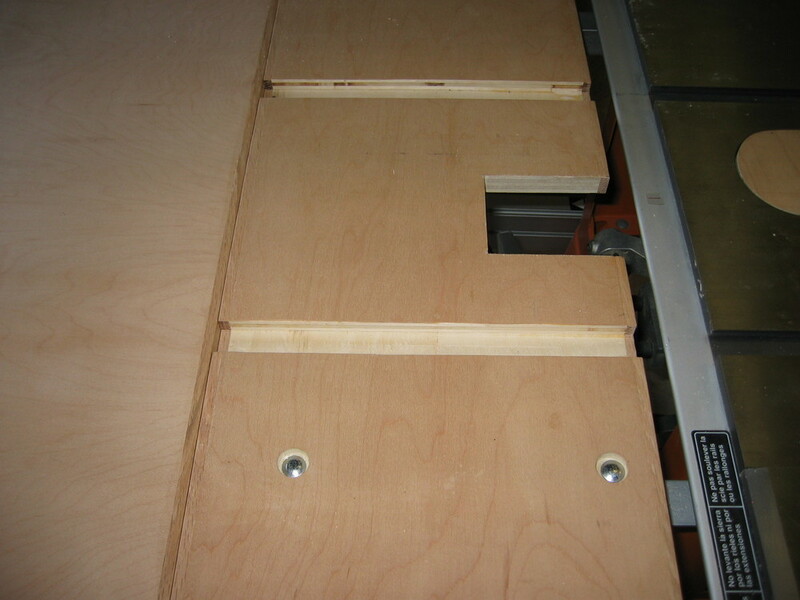 While routing the slots on the fixed part, I actually ran the router right through a screw that was holding the piano hinge down. I was completely unaware that I’d hit it until I saw the newly flush-trimmed screw. 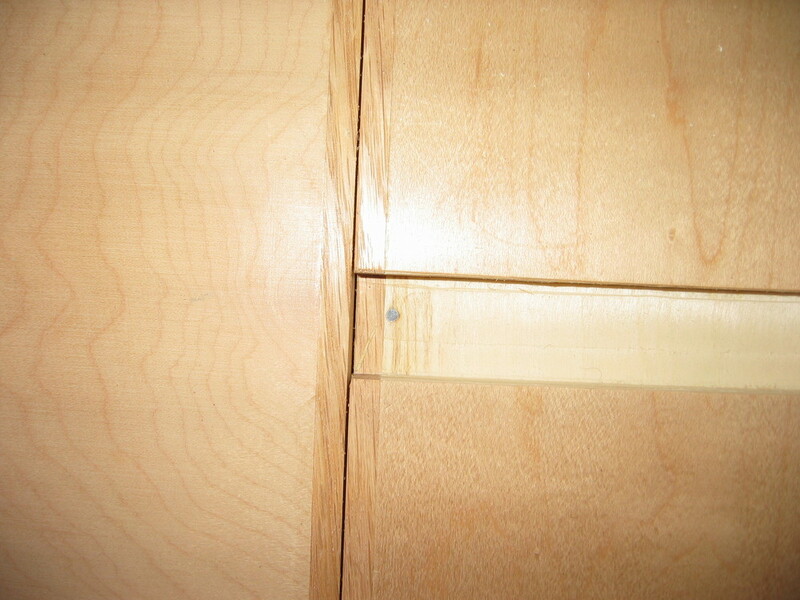 FORTUNATELY, the router bit survived – I guess the steel in that screw was really soft. 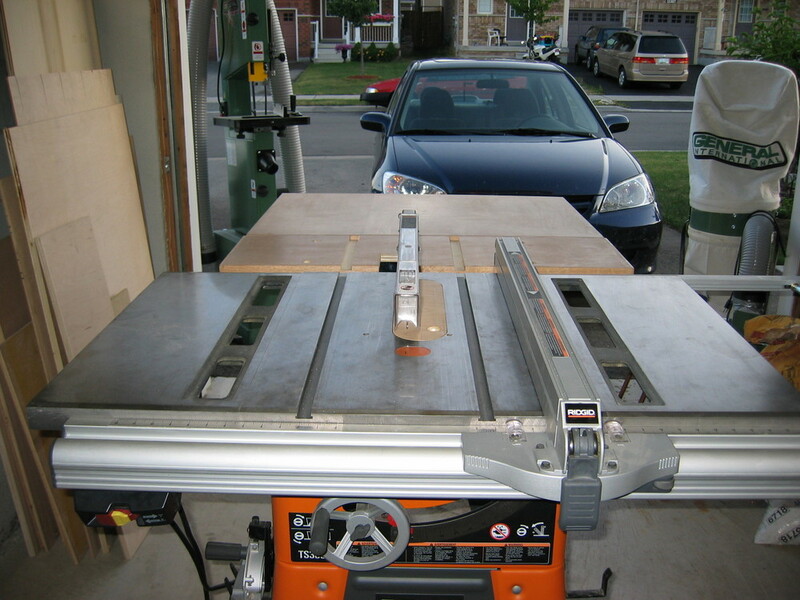 This entry was posted in Shop, Woodworking. Bookmark the permalink. How did you attach the frame to the saw? any diminsions? Hi Doug, I completely winged it when it came to dimensions on this. 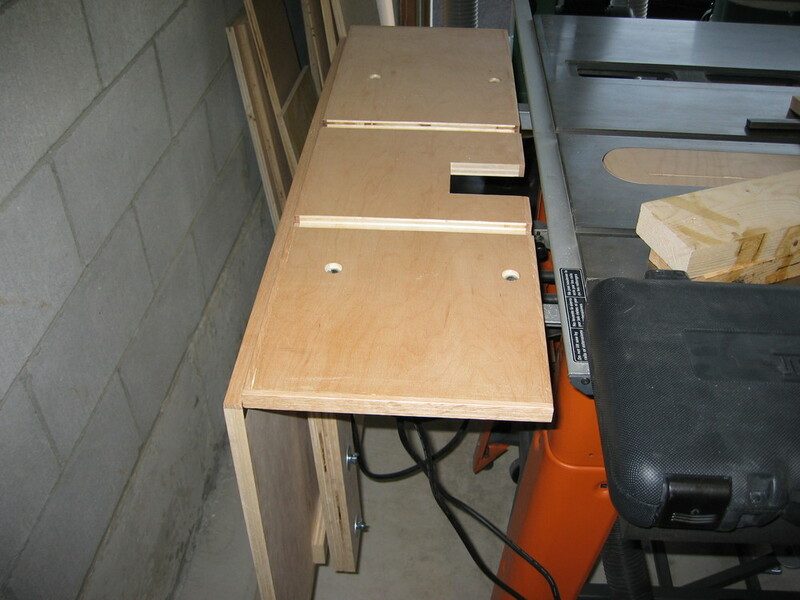 You can kinda see in the third picture that the angle iron that supports the table is bolted to the saw’s cabinet just below the top. There are actually existing holes in the side of the cabinet, I believe originally intended for the wire retainer clips for the power cables. I drilled holes through the angle iron and put 1/4″ bolts through, and relocated the cable clips. 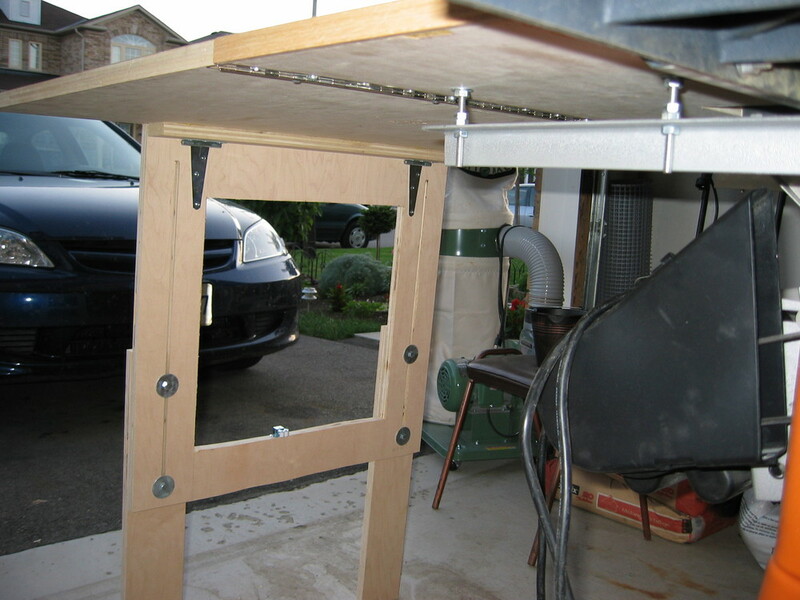 The angle iron is long enough to reach from the front hole, far enough to support the fixed portion of the extension table. It’s worth noting that this arrangement interferes with tilting the saw blade any further than about 30 degrees, and that’s been the main drawback of this design. I very rarely tilt my saw blade though for the things I build.